Gorgeous remodel in the heart of Mesa with stunning curb appeal. 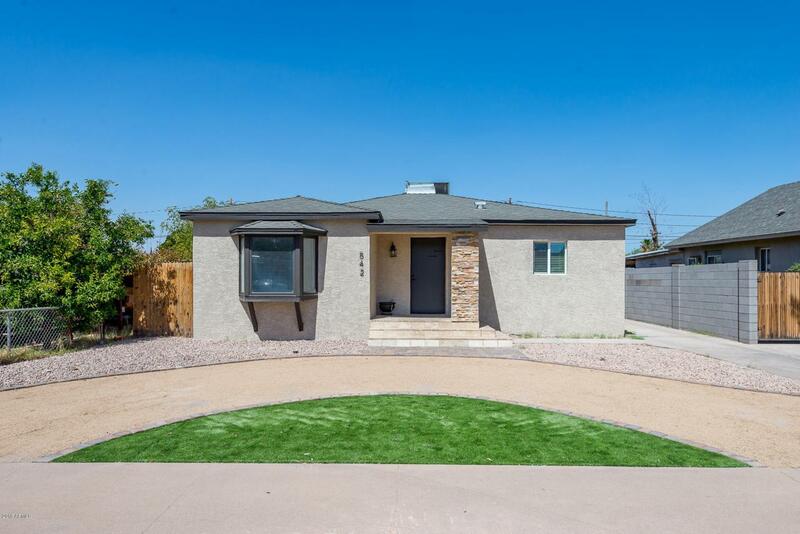 Come see this 4 bedroom, 2 bathroom home with a Casita! Fresh new exterior paint, circular driveway & landscaping. As you enter you have an open concept kitchen and living space with quartz counter tops, pendant lights and SS appliances. New flooring throughout. New vanities & tile work in both bathrooms. New light fixtures throughout. Neutral paint. Large fenced in back yard with room for extra parking or entertaining. Casita is perfect for mother in law or office. Come see this home today! Listing courtesy of Networth Realty Of Phoenix.